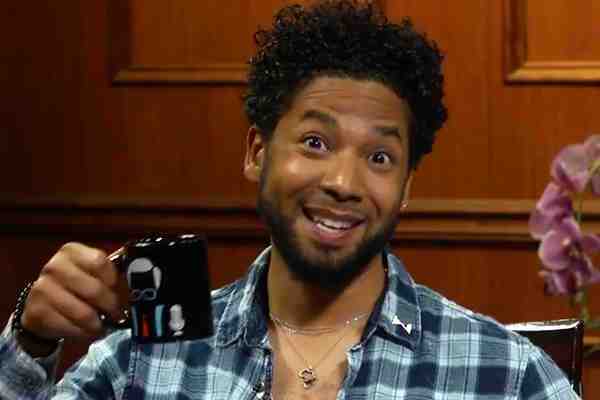 Out actor Jussie Smollett's spokesman said Wednesday night that his client “is at home and recovering” after being attacked Tuesday morning in Chicago. Smollett, who is black and came out gay in 2015, plays gay musician Jamal Lyon on the Fox drama Empire. According to police, Smollett, 36, was approached by two men wearing masks as he walked near the Chicago River in downtown Chicago around 2 A.M. The men shouted racial and homophobic slurs as they struck the actor in the face. Police also said in a statement that an “unknown substance” was poured on Smollett and a rope had been wrapped around his neck. According to spokesman Anthony Guglielmi, the attack occurred as Smollett walked to his apartment following a visit to a sandwich shop. He said that police are scouring surveillance videos searching for the attackers and have found several “persons of interest” but nobody matching the description Smollett gave. After the attack, Smollett returned to his apartment, where his manager called the police. After meeting with police, the actor went to the hospital at their suggestion. Guglielmi also said that Smollett received a threatening letter last week and that the FBI is investigating the letter.